Most of the candidates likely to contend for the presidency in 2016 have been silent—even Hillary Clinton, who’s been otherwise eager in recent weeks to opine extensively on national issues. It was not a great moment in the Republican Party’s alleged outreach to minority communities, which Ryan has been championing, but this silence is a bipartisan affair. Many politicians on both sides of the aisle, with a few valuable exceptions, have by and large avoided what’s happening in Missouri entirely. Most of the candidates likely to contend for the presidency in 2016 have been silent. 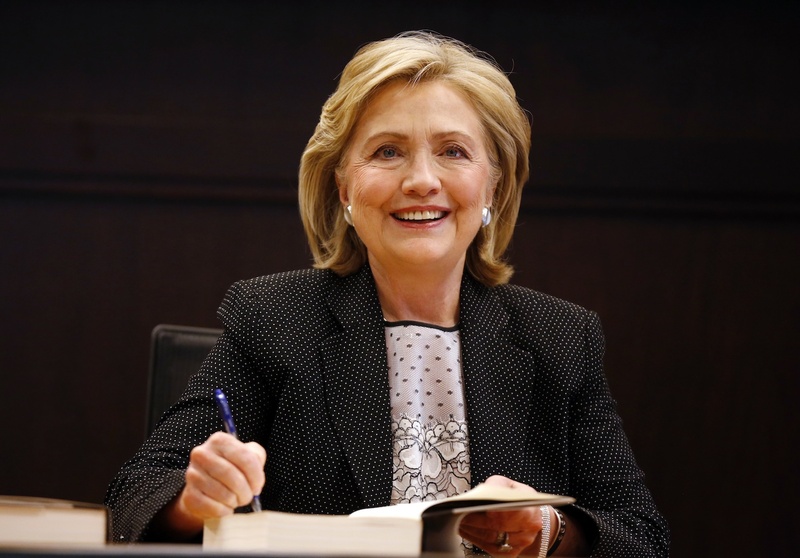 Hillary Clinton, who has been eager in recent weeks to opine extensively on national issues as she embarked on a book tour, has acted as if the situation isn’t happening. On Friday, as the nation was gripped by a series of rapid-fire events in Ferguson—the disclosure of Officer Darren Wilson’s name and the inflammatory convenience store footage, along with increased civil unrest—Clinton’s team released a hammy House of Cards spoof. Glad AG Holder is in #Ferguson for independent federal investigation of Michael Brown’s death. We need straight answers about what happened. On the Republican side, Senator Rand Paul wrote a strongly worded op-ed in Time calling for the demilitarization of police and a reexamination of racial disparities in law enforcement. That represents the strongest, most detailed response of any 2016 contender to date. As for the rest? Nothing. Jeb Bush, Rick Perry and Scott Walker haven’t said a word. New Jersey Governor Chris Christie declined to comment, though did signal some faint support for the police. “I’m not going to get into this business of generalizing against law enforcement officers. It’s not right,” he told New Jersey Public Radio. Congressional leaders have at least issued short statements mourning the passing of Brown and calling for varying degrees of investigation. Most of them, anyway—Senator Mitch McConnell was alone among House and Senate leaders in not sending out a statement on Ferguson last week, and he has not commented publicly on the matter. The Missouri delegation cannot avoid it—Senator Claire McCaskill and Representative Emanuel Cleaver have been active on the ground there, meeting with residents and talking with the media. Senator Roy Blunt, a Republican, has spoken with Obama about what’s happening and met with Attorney General Eric Holder when he visited Wednesday. Beyond that, the rank-and-file have largely followed their leaders’ model of saying as little as possible about what’s unfolding in Ferguson—though there are some promising stirrings. The CBC is also urging the Republican chair of the House Judiciary Committee to hold hearings on what’s happening in Ferguson and the broader issues it raises. On the Senate side, Judiciary Committee chair Patrick Leahy issued a statement on Friday about Brown’s shooting and the corresponding police actions, but did not signal any hearings would be forthcoming. Congress could also act to reduce the militarization of local police forces by reigning in the Pentagon program that provides most of the weaponry. Representative Hank Johnson is plotting a bill that would do just that; Senator Carl Levin, the chair of the Senate Armed Services Committee, said he is willing to re-examine the program. Reid, however, said he doesn’t support ending the flow of weapons but would rather simply increase local police training. Beyond that, Senator Bernie Sanders is hoping to add to the conversation with a jobs bill for black youth, which he is framing in terms of what’s happened in Ferguson. “If we are going to address the issue of crime in low-income areas and in African-American communities, it might be a good idea that instead of putting military style equipment into police departments in those areas, we start investing in jobs for the young people there who desperately need them,” he said in a statement. Sanders has been one of the few in the Senate, so far, to speak out about events on the ground there. For much of Congress, it has been relatively easy to avoid talking about Ferguson—the body is in the middle of a five-week recess, meaning members aren’t being buttonholed by reporters every day in the halls of the Capitol. But soon enough, that will end. It’s also inevitable that Clinton and others are eventually forced to comment. The question then will shift to what they say, and what they want to do. *A prior version of this story incorrectly said Rubio did not issue a statement on the events in Ferguson.